Each of these specialties in psychology will require that you meet specific educational requirements and complete specific coursework. To make a prudent decision regarding which specialty is right for you, it will be important that you do background research regarding the specific requirements of the educational institution that you plan to enroll in. Yet another way you can determine which specialty in psychology will be right for you is to complete an internship. Because internships offer you the opportunity to gain hands-on experience and knowledge in a specific sector within the psychology umbrella, completing one can help you determine whether you find the type of work indigenous to a specific sector to be intellectually stimulating or rewarding in some other manner. Consulting with your high school or college counselor regarding specialties in psychology is yet another mechanism you can use in order to determine which specialty would be most fitting for you. There are a variety of services that a counselor can provide in order to help you make an informed decision, such as administering or facilitating personality and/or career tests that help analyze how your disposition and proclivities would contribute to or detract from your aptitude for certain job positions. One of the best ways for you to make a decision regarding which specialty in psychology will be right for you is to simply take an elective course. For example, if you have given consideration to the pursuit of a career in the field of school psychology, taking a sample course that is largely predicated on exploring material related to this sector can be very helpful. 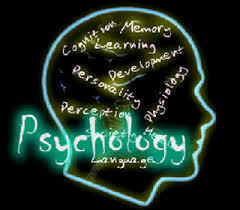 In addition to gaining basic and/or specific knowledge about the area of psychology that you are interested in, taking an elective course will oftentimes afford you the opportunity to gain hands-on experience that can help you determine whether you are truly interested in working within a specific sector. Volunteer work is almost always rewarding on both personal and professional levels, and it can be a very beneficial endeavor to engage in if you are attempting to determine which specialty in psychology is right for you. By working with a business or organization that encompasses a specific specialty within the field of psychology, you can gain the experience necessary to decide whether you would truly enjoy working in that sector. If you have given thought to specializing your degree in psychology, you should know that doing so can be the perfect step towards the development of a productive and personally rewarding career. Now that you have a basic understanding of several ways you can decide which specialty in psychology would be right for you, you can move forward with accomplishing your professional objectives in your field of choice.